You are currently browsing the tag archive for the ‘Health Care Reform’ tag. Friday, April 30 was one of the first deadlines established under the federal health care reform legislation. 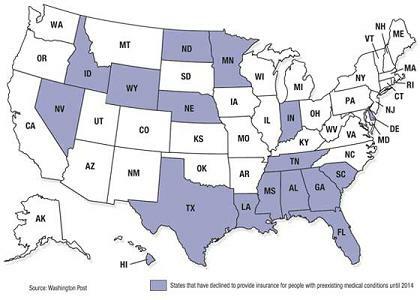 States were required to decide whether they would work with the federal government to establish a health insurance pool for high risk individuals. Much of the debate amounted to mere partisan ties. Of the 29 states that agreed to create a pool, Alaska, California, Connecticut, New Jersey, South Dakota and Vermont have Republican governors. Always the rebels, Rhode Island and Utah—both with Republican governors—are undecided. + Shows promise for quality improvement and cost reduction – representing the culmination of years of work by revising the state’s existing program, Blueprint for Health. 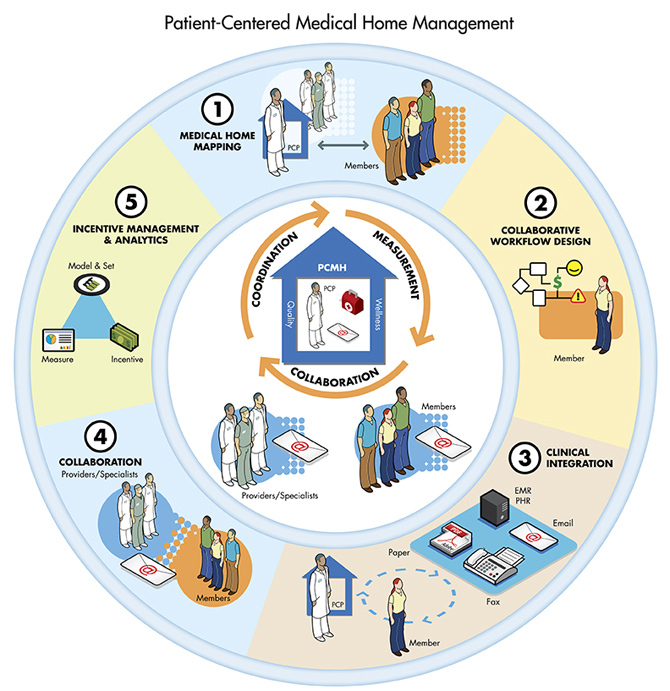 + Articulates the components of the integrated medical home and community health team payment reform model. + Requires insurance carriers to participate in the statewide expansion of the Blueprint as a condition of doing business in the state. + Establishes interoperable connectivity through the state Health Information Exchange and a one-year primary care work force development committee. + Charges the Department of Banking, Insurance, Securities and Health Care Administration with limiting the rate of growth in hospital spending and insurance premiums. – Has caused concerns among health care professionals regarding low-income residents’ access to free prescription samples. – Jeopardizes Vermont’s participation in the CMS Advanced Primary Care Practice Medicare demo. In Vermont, a state with more than 90 percent of residents insured and ranked #1 in the Commonwealth Fund’s most recent State Scorecard on Health System Performance, the legislature is close to adopting a change to the health care delivery system not accomplished by Congress—universal coverage. Both chambers of the state’s Democratic-controlled General Assembly passed different versions of SB 88—the original version of the bill, passed by the Senate, would establish a single-payer system. The House amended the legislation, replacing single-payer with a public option, which would allow the state to create a health insurance program to compete with private payers. Legislators currently are working out the details in a conference committee. Governor Jim Douglas (R) has not yet indicated whether he will sign either version of the bill if it reaches his desk. The governor supports certain cost-containing provisions of the legislation but does not approve of either bill in its entirety. 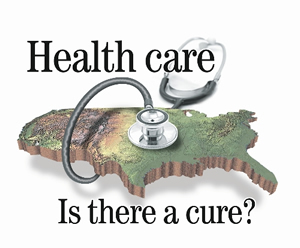 The state could not pursue such plans until 2017 as required by the new federal health care law. Vermont, however, isn’t alone in its efforts. Minnesota SF 118 was introduced in 2009 but has received little attention from the Legislature in 2010. During the current legislative session, HB 767 and SB 682 were considered by the Maryland General Assembly but ultimately were reported as unfavorable by their respective initial committees of referral. California also is considering a single payer bill, SB 810, which passed the state Senate and is under consideration in the Assembly. In a recent press release concerning federal health reform, Governor Arnold Schwarzenegger (R) indicated that he supports reform and expanding coverage. However, given the state’s current economic condition, adoption in 2010 seems unlikely. June 1, 2010 — UPDATE: According to a San Jose Mercury News article, in order to plan for and begin implementing the federal health reform legislation, the California Legislature is considering more than 20 bills, of which as many as a dozen may be voted on this week as lawmakers face a deadline to pass bills out of their house of origin. SB 890 – Prohibits annual or lifetime benefit limits, establishes a medical loss ratio of 85 percent, and allows for changes in individual health plans or insurers on annual renewal dates. SB 900 – Establishes a state health insurance exchange. SB 1088 – Allows enrollment in parents’ insurance coverage up to age 26. 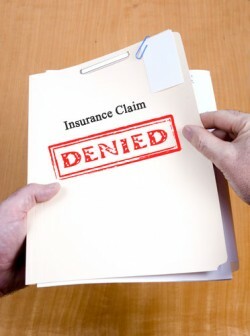 SB 1163 – Requires health insurers to give 180 days written notice of changes in the premium rate or coverage and extends requirements placed on health insurers to deny coverage. AB 1595 – Expands eligibility for Medi-Cal, the state’s Medicaid program. AB 1600 – Establishes mental health parity. AB 1602 – Establishes a state health insurance exchange, eliminates annual and lifetime limits on health care coverage, and allows enrollment in parents’ insurance coverage up to age 26. AB 1825 – Requires coverage of maternity services. AB 1887 – Establishes framework for the operation of California’s temporary high risk pool. AB 2244 – Prohibits denial of coverage based on preexisting conditions. AB 2470 – Imposes specific requirements and standards on health insurers related to the application forms, medical underwriting, and notice and disclosure of rights and responsibilities. AB 2477 – Establishes continuous eligibility for children under Medi-Cal. AB 2578 – Prohibits health insurers from increasing rates without prior approval from the Department of Managed Health Care or the California Department of Insurance. HB 6034 – Prohibits denial of coverage based on preexisting conditions, allows enrollment in parents’ insurance coverage up to age 26, and requires that rates are adequate, equitable and not excessive. HB 6035 – Requires continuation of coverage and approval of rate increases. HB 6036 – Allows enrollment in parents’ insurance coverage up to age 26 and limits when a health benefit plan can be changed or cancelled. HB 6037 – Establishes the MI-Health Board to develop a standard guaranteed issue health plan, which will serve as a minimum level of coverage for all health plans in the state. May 26, 2010 — UPDATE: Governors are continuing to establish the infrastructure needed by their states to implement the new laws and prepare for the new opportunities included in the federal health reform bill. Most recently, Washington state Governor Christine Gregoire (D) signed an executive order creating a Health Care Cabinet and California Governor Arnold Schwarzenegger (R) established a state Health Care Reform Task Force. In Michigan, Governor Jennifer Granholm (D) created a Health Insurance Reform Coordinating Council, New Mexico Governor Bill Richardson (D) set up a Health Care Reform Leadership Team, and launched by Pennsylvania Governor Ed Rendell (D) is a Commonwealth Health Care Reform Implementation Committee and Advisory Committee. May 19, 2010 — UPDATE: Despite involvement in a lawsuit against the federal government concerning the constitutionality of the new health reform law, Virginia Secretary of Health and Human Resources Bill Hazel, MD announced the establishment of the state’s Health Care Reform Initiative. Funded from existing resources, this statewide initiative is located within the Office of the Secretary of Health and Human Resources and will serve as the liaison between the Governor’s office, agencies and entities affected by health care reform, lead development of the required Health Insurance Exchange and identify and coordinate grants to fund health care reform. The new program is charged with making recommendations addressing Medicaid reform, insurance reform and health care delivery reform, due to the Governor by September 30, 2010 and annually by January 10 until 2014. May 17, 2010 — UPDATE: New York also laid the groundwork to begin implementation. Governor David Paterson (D) recently created the Governor’s Health Care Reform Cabinet, which will advise and make recommendations to the Governor on all aspects of federal health care reform. The Director of State Operations will serve as the chair, with the Deputy Secretary for Health, Medicaid and Oversight and the Deputy Secretary for Labor and Financial Regulation serving as vice-chairs. Included in its responsibilities are identifying deadlines established under federal law; determining with which provisions the state must comply and those that are optional; and assessing the state’s capacity to carry out those provisions. April 28, 2010 — UPDATE: Maine joined at least four other states in establishing the infrastructure needed to implement the new federal health reform laws. Governor John E. Baldacci (D) recently issued an executive order creating the Health Reform Implementation Steering Committee. Utilizing existing state resources including the Governor’s Office of Health Policy and Finance, State health officials, and the Advisory Council on Health Systems Development, the steering committee will begin the planning to meet requirements under the federal law. The new committee will also work with the Joint Select Committee on Implementation created by the Maine Legislature this session. Additional information can be found at AAFP News Now. Connecticut Governor M. Jodi Rell also announced that she has established a Health Care Reform Cabinet, comprising officials from several state agencies, to ensure that state-administered health programs and other key elements meet the goals and requirements of the recently passed national health care reform law. Maryland makes head of the class. The day after President Obama signed the federal health care reform legislation into law, Governor Martin O’Malley unveiled an executive order creating the Maryland Health Care Reform Coordinating Council to advise the administration on policies and procedures to implement the new federal law as efficiently and effectively as possible. However, not all states’ approaches to addressing health reform are alike. Governor Sean Parnell announced Alaska will join 20 other states in legally challenging the constitutionality of the federal legislation. According to the National Conference of State Legislatures, 39 states—including the four mentioned above—have filed legislation opposing certain provisions of federal health reform.